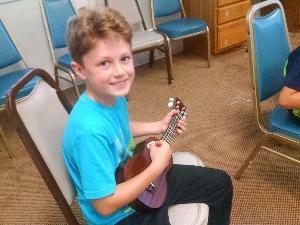 Ukulele, Songs, and more! ~ ages 6 yrs to Adults. 5 yrs with a parent! We excited to meet and inspire budding musicians to learn ukulele.! Bring Your Friends along and join George for a semester of classes full of ukulele adventure FUN. Come enjoy this simple, easy string instrument that everyone can enjoy ~ It's a Success for all! 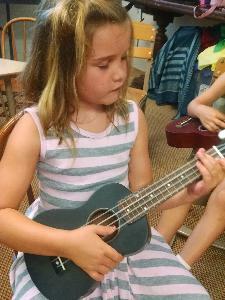 Each month, we will explore chants, songs, and movement from a different cultures as we learn how to sing, strum, move and play simple songs on the ukulele. $100 a month, with a full semester commitment. Join anytime, classes can be prorated. Siblings 15% off. Parents can join for only $10.